Between work and family and church parties, there’s plenty of chances for taking appetizers to your holiday parties. Enjoy some of the best appetizer recipes around! 1. Make a Christmas Tree from Veggies, Fruit or Cheese. Here. 2. These Santa Hat Brownies look yummy and adorable! 3. This Last Minute Cheese Ball Appetizer looks amazing! 4. 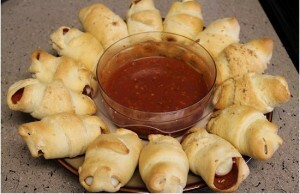 These Pepperoni and Cheese Crescents would be perfect for the teens! 5. Easy and delicious, check out this Cranberry Pepper Jelly Dip! 6. Seven Layer Dip has got to be my favorite! Love the idea of individual cups. 7. Cucumber Dip Cups look delicious and kid friendly! 8. The Sweet and Tangy Lil’ Smokies will need a few hours in the crockpot, but can still be made fairly quick and easy! 9. Try out some Loaded Baked Potato Rounds – these would work for an appetizer or dinner! Looks amazing! 10. Okay, one more crock pot one, but with 3 ingredients you can’t go wrong here. These Crock Pot Grape Jelly BBQ Meatballs look fantastic! 11. I’m thinking we’re going to have to try these Baked Mozzarella Cheese Sticks. Looks delicious! 12. Throw this one together in a hurry – Ham and Dill Pickle Appetizer Bites. 13. Perfect appetizer for game day- Jalapeno Popper Cheesy Garlic Bread. 14. 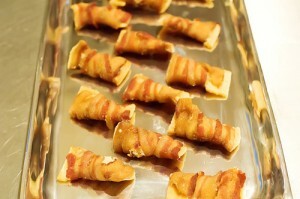 The Holiday Bacon Appetizers look divine! 15. The Roasted Green Bean Fries are an easy and quick treat! 16. Change things up a bit and bring along some Baked Southwestern Egg Rolls! 17. 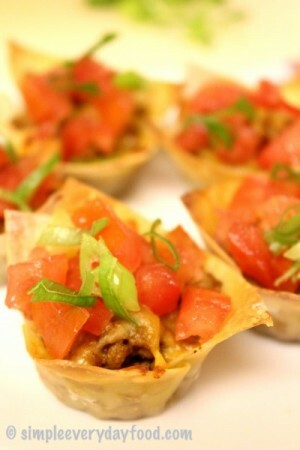 These Mini Taco Cups look fabulous! 18. How about trying out these Cheese Puffs? 19. Mini Grilled Cheese Sandwiches look easy to make and fun to eat! 20. Maddy’s Sausage Rolls are a perfect Holiday dinner appetizer! What’s your favorite appetizer to serve? I’d love to hear! 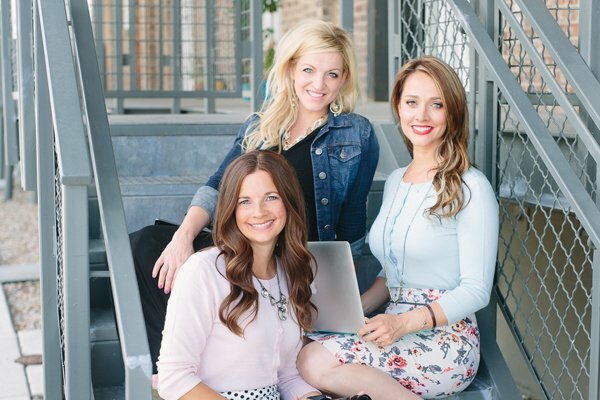 Leave your comments below for more great ideas!